Great job making the cake Lindsey! Love the dinosaur breaking out! Cameron, blowing out the candles. Wish we could have been there to help celebrate, but we'll be seeing them in person in just over two weeks!! Yesterday morning, we borrowed Bonnie's Jeep and went into town to pick up Sherman's new battery. With the core charge dropped because we brought in the old battery, the total cost was 1,250 pesos ($110). This became an even better deal than I expected because that was the total price...no added on taxes! So while a similar battery at Walmart in the U.S. costs $95, there would have been taxes to pay on top of that. Sherman is happy, and so are we! Sherman, parked up at Delia's Trailer Park near Etzatlan. Once again, we've enjoyed our week here with our host Bonnie. We'll definitely be back, possibly even as soon as this coming October! There are 12 RV sites here, and four of them have concrete patio pads installed. They're all full hookup, with 15 amp electricity. No need for any more than that...the weather is perfect with your windows open. Good value for 180 pesos ($15.84) per night. One of the RV patio sites. Shame we're the only ones here! Oh, notice the "For Sale" sign in the window of the property behind? That's one of the casitas that are on a subdivision of the ranch. 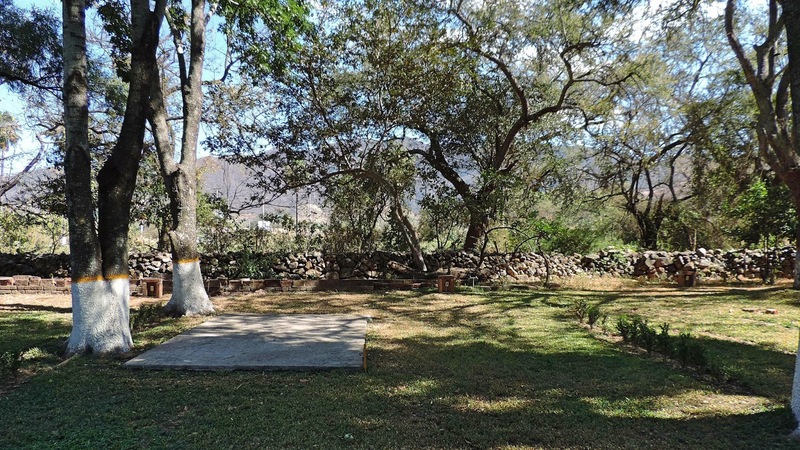 Bonnie's father was from the states, and he leased out land for these casitas to be built and owned by retired expats 20 or 30 years ago. Now, many of the people who owned them have either passed away or moved on and quite a few are sitting empty and for sale. You could probably pick one up for under US$30,000. Nice little spot. So, we're moving on this morning. Not going too far, about 170 kms (105 miles) to the town of Mascota. There's a dam there, supposedly with picnic areas and we're hoping to be able to boondock somewhere around there. No idea if we'll have any kind of internet or cell signal available, so if you don't hear from us for a day or two don't worry! 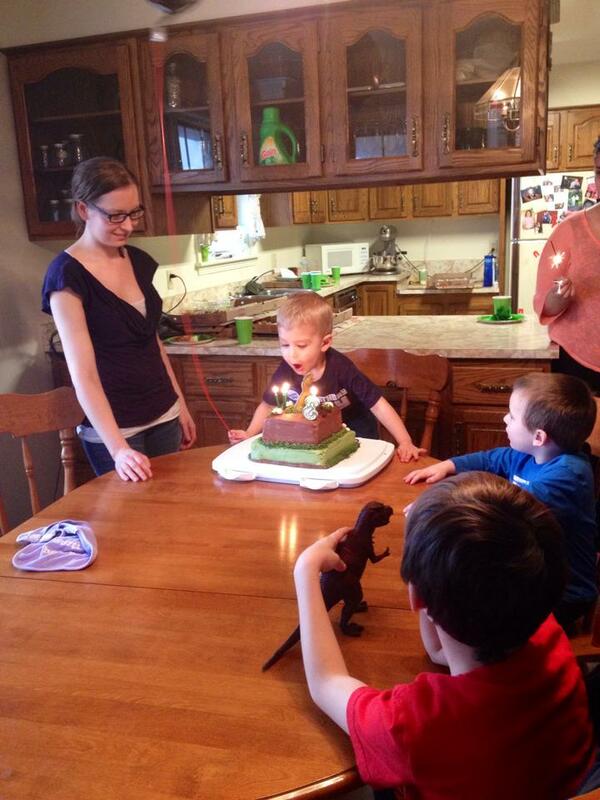 Happy birthday to Cameron and love the dinosaur cake - cute idea! Oh to new adventures with a good battery. Yippee! I remember when Cameron was born, was that three years ago? Where does the time go? Soon we will be reading about his teenage adventures on your blog. Happy Birthdau Cameron, remember when he was born, wow time sure flies! Good deal on the battery. 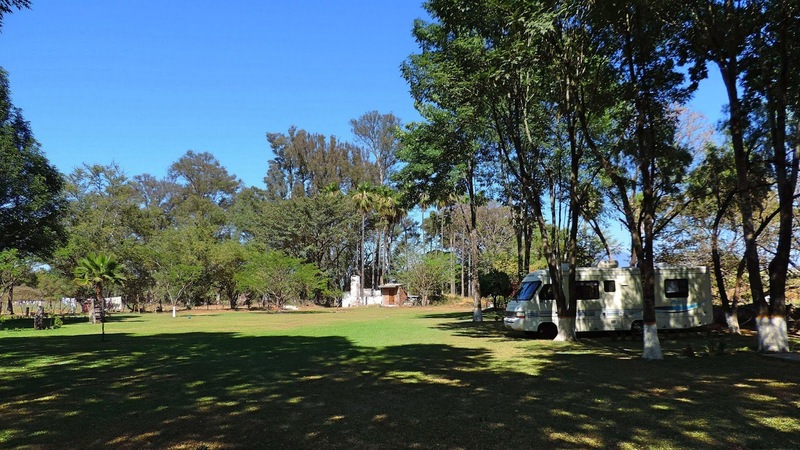 The RV park looks so comfy, and the casitas have my interest all perked up. Happy Birthday Cameron getting so big.. 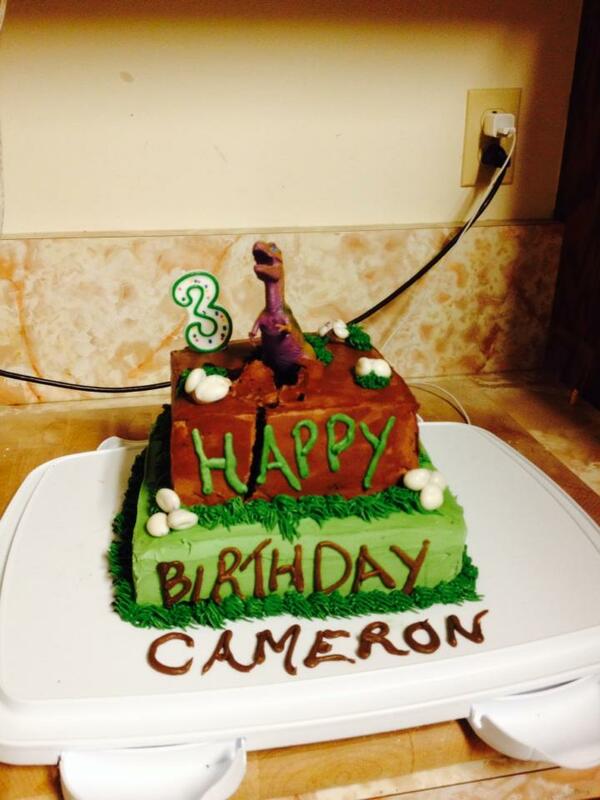 I imagine Cameron had the perfect birthday for a 3 yr old! Happy trails to you two.